His British Comedy Award Winning ITV1 series Al Murray’s Happy Hour delighted both viewers and critics alike with his no-nonsense treatment of his celebrity guests. He is also one of the few stand-up comedians to be asked by ITV to perform two “Audience Withs…”. Al’s sitcom Time Gentlemen Please (Sky One) has become something of a modern-day cult classic, and his series, Al Murray’s Multiple Personality Disorder (ITV1) saw him introduce a whole host of new characters and demonstrate his vast comedic range. He has also released a number of best selling live DVDs including My Gaff, My Rules, Giving it Both Barrels and The Beautiful British Tour. Out of character, Al Murray has hosted Al Murray In Germany for BBC Four, a historical series about the art and culture of Germany (without mentioning the War), as well as Have I Got News For You and The Road To Berlin, a 10 episode documentary series on WWII for Discovery. As a stand-up comedian, Al continues to sell-out national and international tours, which has made him one of the most popular live comedy acts in the country. He won the Perrier Award (after a record four successive nominations) and secured Olivier Award nominations for both of his celebrated sell-out West End runs. Internationally, Al has forged an excellent reputation with numerous sell-out runs in Melbourne, Sydney, Montreal and New Zealand. 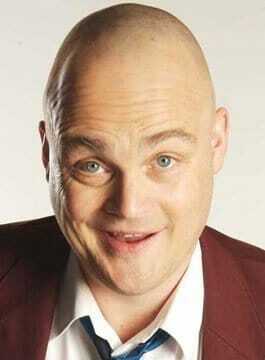 Al Murray is available for hosting and corporate stand-up performances.